“Look I think physical barriers are a part of the solution,” he acknowledged to Cavuto. “You don’t share Nancy Pelosi’s view that a wall is immoral?” Cavuto asked. He claimed the Democrats are “for border security” but he criticized “the environment of hostage-taking i.e. not only the employees but people who rely on government,” caused by the government shutdown. The now-32 day government shutdown shows no clear sign of ending as Democrats have largely rejected a compromise offer from President Trump that would have protected hundreds of thousands of DACA recipients from deportation in exchange for his desired $5 billion in border wall funding. The Senate will vote on competing bills aimed at re-opening government Thursday. The GOP bill models Trump's proposal. 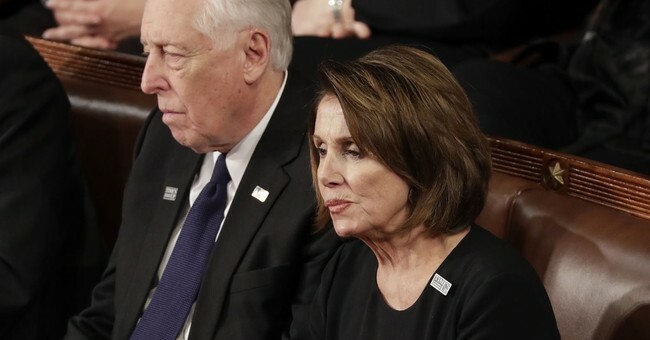 The Democrats' bill, which was passed by the House, would re-open the government until February 8th and contains no money for wall funding.